During my drive into work this morning, I turn on the radio; you know to get my usual praise on. 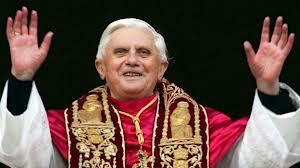 Suddenly the news came on…Pope Benedict has resigned this morning, effective in two weeks. I was shocked, raised Catholic, I have never, ever, ever heard this happen. I thought the person appointed to be Pope was supposed to ‘die’ in that position. Got on twitter and it was true along with a barge of jokes about it too. Hilarious I might add but I digress. I was just in awe that he had made this decision.. I know he gave his reason in a statement but mehn… that wouldn’t have been an easy decision. This has never been done in recent times; the last time it was done was some 600 years ago…. 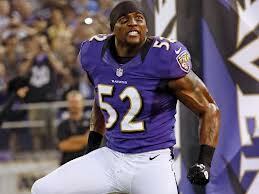 Last week Ray Lewis had his second Super Bowl win with the Baltimore Ravens. Some months before he told us that he was leaving the game of football. In my opinion Ray Ray story is one of redemption, thirteen years ago in Atlanta, I thought it was over for him, but he escaped going to jail and he worked on turning his career around. My point is really not about his past but his decision to call it quits when he was still at the top of his game. That must have been a difficult decision but he did it. His nice little going away present was another ring on the way out. What do these two men have in common? They knew when to say when…. The bible tells us There is a time for everything, and a season for every activity under the heavens Ecc 3:1. I will not go into details about this verse because I believe that we all know it so well, the challenge however is to know when to hold on and when to let go. Remember that Kenny Rodgers song You got to know when to hold ’em, know when to fold ’em,. Know when to walk away, know when to run Sometimes in the course of our life people or things come in that God sent to perform a specific purpose then leave.. They are only supposed to be there for a season; to perform a specific task. Even your ‘haters ‘ are put in your life for a reason; to help you move to the next place or to help you while you are in your present place. But do you know when it’s time to let go? No matter how difficult or painful it might be. Holding on to a season when it’s over can be very stunting….it stunts you emotionally, spiritually and physically. You begin to loathe it, it becomes a burden…. Another struggle we all have is recognizing our season isn’t here yet? We try helping God do what He is supposed to do because we believe our time is now. Your time might not be his time, He might be taking you through a process to bring you to where you ought to be. Words to live by…”There it’s a time for everything…” Sometimes, we get so caught up in waiting for our season to come that we don’t realize that seasons come and go. Summer doesn’t last all year. Thanks for this piece, Unoma! God bless. Thanks for visiting my blog Onyih. I totally agree, thats one of the reason, people can spend their whole life not fufilling God’s purpose.. So true. I have had my own struggle with letting go when God says it’s over! Thank you for stopping by Leslie. We all have those struggles, putting a comma where God put a period.